School is in. Keeners and Cs-Get-Degrees advocates will be flooding the halls scrambling to get ready for the first few weeks of class. We have some tips that are sure to help you out. We have prepared a Mount Royal-specific guide with a survival kit and some secrets you should know about MRU. 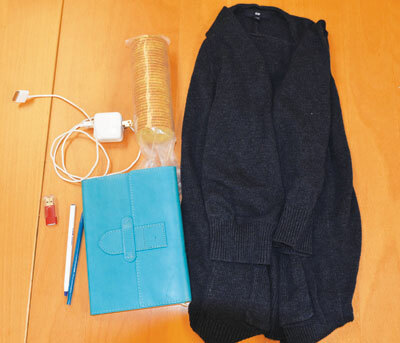 This survival kit is our gift to you to help you get through the day including some things you may not have thought of: sweaters for the inexplicably cold classrooms, a phone charger for when you live here part-time and snacks to get you through that dreadful 3-hour lecture. You already know the basics of what you should bring to class (hopefully) but here are some things that might not be on your list yet. As odd as this may sound, some of the classrooms at MRU are inexplicitly either scorching or freezing. Those of us who have been here for a while know there is nothing that can be done and no way of knowing when the climate will be a few degrees off from what it should be. Bring a sweater with you. Honestly, you won’t regret it. This may be a no-brainer but if you don’t bring food from home, you’re going to start spending a lot of cash on extra food, especially now that we have more food options back on campus. Bring something to munch on during that torturous three-hour class. USB flash drive: Tired of emailing yourself your projects over and over again? Yeah. You should really get a USB stick. Phone charger: You’ve spent the whole day at school and you’re finding that you spend more time here than in your bed. You’re going to need to complain on social media and Snapchat everyone you know. You need your phone charger. Hint: in a pinch, there is a phone charging station in the Wyckham House by the ATMs. These are a few things you wish you knew three years ago. For first years, from us 4th years to you: you’re welcome! The machines in Lot B for day parking take credit, debit and cash. But most of the time at least one of those machines is out — if not both! You can help the situation by carrying change on you to hack up the cash quickly and go, or just dodge the problem area altogether and try and squeeze into Lot A before the rush. For the 15-dollar day parking in front of West Gate, keep your ticket away from your phone or even your pocket — the tickets de-magnetize easily and won’t scan when you try to pay them later. One way to avoid force-feeding the machine your ticket is to just leave it in your car and press the Lost Ticket button at the machines inside school (yes, these machines are inside the school, so there’s no need to wander around the parking lot aimlessly). If you’re buying books in the first few weeks of class, don’t bring your backpack to the bookstore! You’ll save yourself a lot of time. Buying books is one of the most tedious and frustrating things when starting a new semester. Hopefully these tips can ease your pain. First of all, instead of weeding through your course outlines to try and find what books you need, there is an online tool that will give you the book list you need. Go to mtroyal.ca and search “booklist.” Then enter your student ID number and presto! You’ve got the list you need. In the first two weeks of class, don’t bring your backpack to the bookstore. Because the store gets so busy, there is a mandatory bag check-in outside the store. It will take forever for you to drop off your bag and then pick it up after you buy your books. 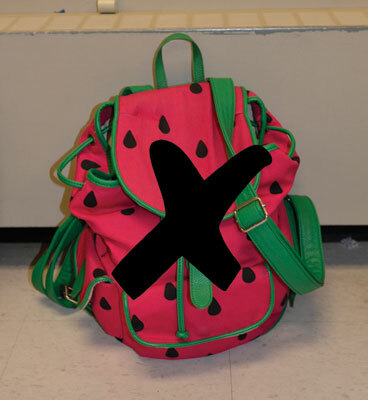 Ask a friend to watch your bag or leave it in your locker. The process will take you a third of the time. There are many food options at MRU to choose from with Wyckham House, the Hub, Herb n’ Market and food trucks all around. But the truth is that a lot of these places often close earlier than they say they will. When you are on campus pulling an all-nighter you really need to know your options — you are going to need brain food. 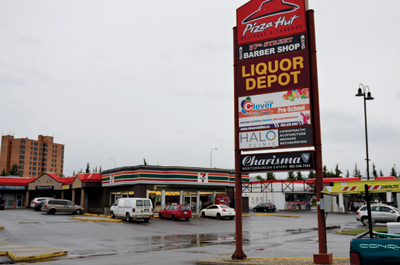 A strip mall about a five-minute walk from campus on 37th Street SW is equipped with Pizza Hut, 7-11, Sushi Hanami and more. These are good options if you are on campus at an ungodly hour (or a Sunday). A 24-hour Tim Hortons is about ten minutes from campus to fuel you up on when you have so little time and so much to do. Also, Local 002 can give you a boost. Parking in the $15 parking lot across from West Gate is a good idea if you know you’re going to be staying on campus late because after 10:00 p.m. the gates open and you can leave for free.